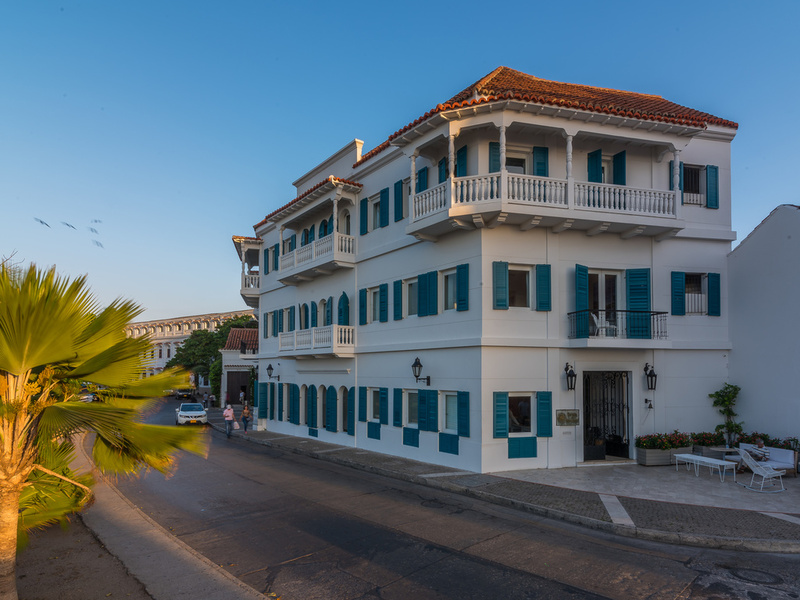 The hotel is housed in a beautiful 19th-century Republican building featuring balconies and wonderful views of the Caribbean Sea, the emblematic city walls of Cartagena de Indias and breathtaking colonial houses. It is located near the city's main attract ions, such as squares, restaurants, museums, exclusive stores and more. It features 14 rooms comprising Superior Rooms, Luxury Rooms, Junior Suites and Duplex Suites, equipped with a kitchenette, safe and L'Occitane amenities. The Hotel Boutique Bovedas de Santa Clara offers an excellent combination of technology, hospitality and personalized service provided by highly-qualified staff which will make your stay an unforgettable experience. It features 14 comfortable rooms, including Luxury Rooms and Suites that are equipped with everything our guests need during their leisure or business trips. The hotel's architecture and decor combine a Republican style with modern touches All the rooms at the Hotel Bovedas de Santa Clara feature: a safe, 300-thread count Egyptian cotton sheets, free WIFI, minibar, microwave, coffee machine, LCD TV and 24-hour room service.